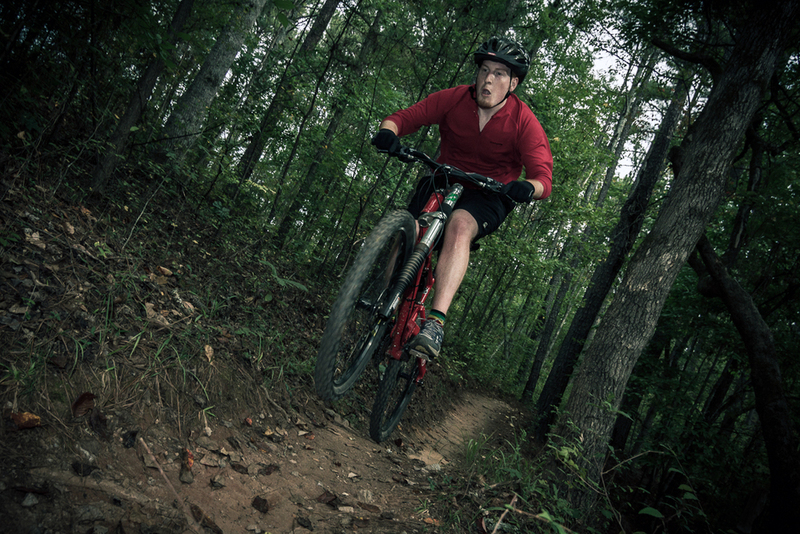 Shot all with a Canon 7D and a Tokina 11-16 f/2.8 lens, with a 580EX II at times. Thanks goes to my brother for being my model. Thoughts? "Is the road out past the trail still washed out?" I asked, as the park ranger handed us our park pass. "Oh, yes," she replied. 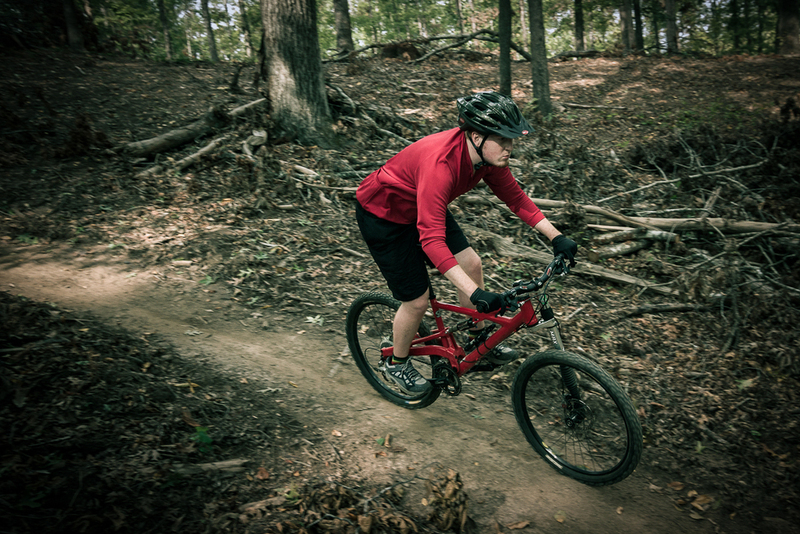 "You can still ride out most of the way, but you'll probably have get off your bikes eventually." We set off on the sandy trail at the rear of the parking lot of the Hunting Island Nature Center. The trail is pretty nice. You're almost completely covered by a canopy of various trees draped by Spanish moss, while gravel, sticks and sand make for an interesting surface to ride on with 700cc tires. Oops. 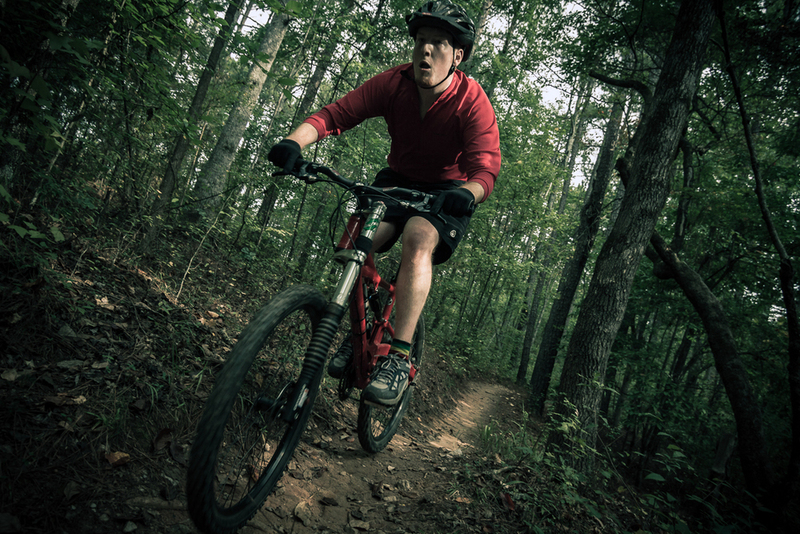 Thankfully, the sand is not too squirrely and the thin tires are puncture resistant. We continue across the trail and make our way over a narrow wooden bridge that spans a small marshy, tidal creek. The trail of hard-packed sand winds on, but as I looked ahead, I could clearly see that beach was dead ahead. The path quickly faded away into soft sand with tons of tree branches, underbrush and other vegetation seemingly strewn about everywhere. I chuckled to myself. "Yep, the road's completely gone. Time to get off and walk the bike." This was my first time riding my bike out here. My father had come once before and told me about the missing roadway that the bike path should intersect. The erosion here was pretty dramatic. 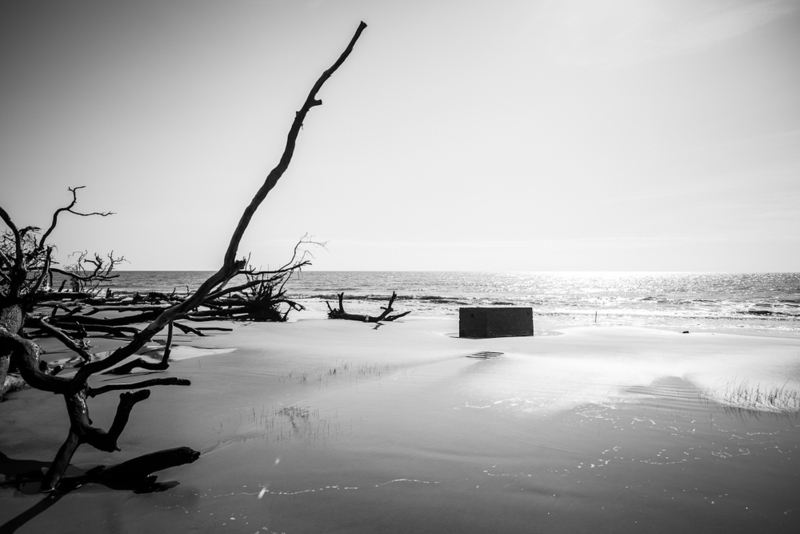 Hunting Island State Park, the most-visited state park in South Carolina, has an interesting "feature" amongst the scenic marsh views, wildlife and 19th-century lighthouse - massive erosion. 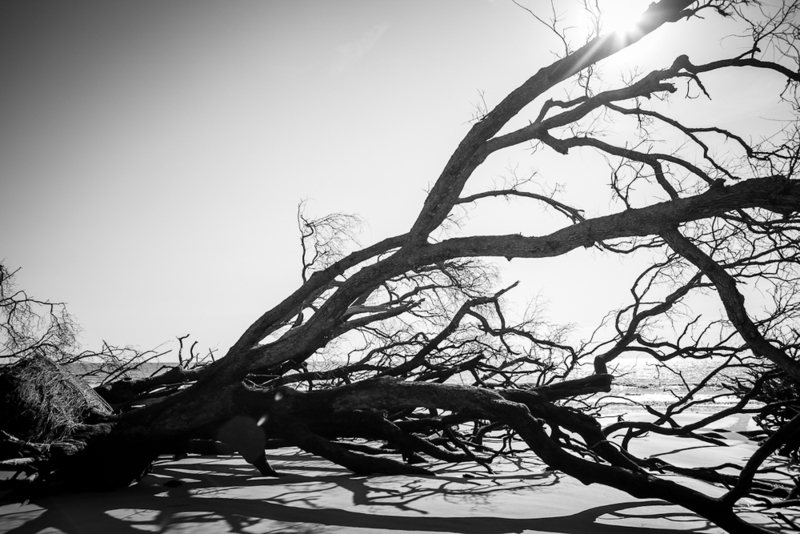 As part of the Sea Islands, a chain of barrier islands along coastal South Carolina, Hunting Island gets its fair share of strong ocean currents and winds. It's one of the fastest eroding beaches on the east coast, with an estimated 15 feet of sand washed away each year. In the particularly bad 2004 hurricane season, approximately 50 feet of coastline was washed away near the south end of the island along Cabin Road. This is where I'm standing. Aside from one other woman hunting seashells far up in the distance, the beach is completely deserted. We decided to take a little walk. It was strange place. A tree graveyard: Half-buried in the sand all along this stretch of beach lies dead, fallen trees. Like organic versions of the Statue of Liberty from Planet of the Apes, long branches of trees seem stick out of the sand and all angles. Even the full root systems are exposed as trees like this one have their ground washed away from under them by the forces of erosion. The white pipe: At times, my nose picked up an odd stench. It was difficult to tell if it was simply the ocean scent mixed with all the organic detritus, barnacles and other sea-life growing on these trees current exposed by the low tide, or if it was from something else......this pipe, perhaps? Notice something else you don't normally see on a beach? Asphalt. There used to be a road where there is now sand. So, is this a sewage pipe? The black box: Accompanying some of the odd odors was this ominous-looking box off in the distance. Is that a septic tank?Indeed, there used to be beachfront cabins along this part of the beach. Nowadays, only a couple are left standing, teetering on the verge of collapse, and have long since been abandoned. No doubt this concrete structure is a remnant from one of these properties. The road less traveled: The remains of Cabin Road lies broken and crumbled; its foundation washed away from erosion. Off in the distance, the path of the road curves back onto more stable land, which has been closed off to automobile traffic.I'm not sure if it's just this time of year, but the lack of people, combined with the eroded landscaped and the cordoned-off section of road, gives off the vibe that I've stumbled across some abandoned government research facility.Or perhaps my imagination and love of post-apocalyptic science fiction is getting the better of me. Bottomed out: Here is a good example of the depth of the erosion. A good 2.5-3 feet. Despite being long dead, this tree's root system has prevented it from toppling over like many of it's brethren. 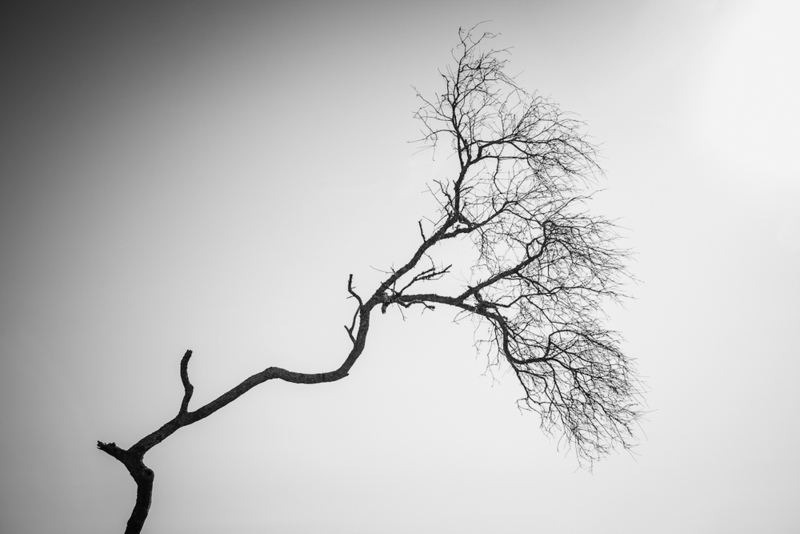 I was fortunate to be able to travel to Maine in late August, partly to just visit Acadia National Park and the Down East coastal region (and a bit of Canada), but also to attend some free Canon-sponsored photography workshops in the park. The entire trip was absolutely fantastic. Great weather, great food (lobster, clam chowder and blueberry ale - hello!) and great people. The workshops were a blast and helped reinforce my camera techniques and overall knowledge. My primary photography focus was on landscapes as well as some nature/wildlife photos. The entire area is a landscape photographer's heaven. 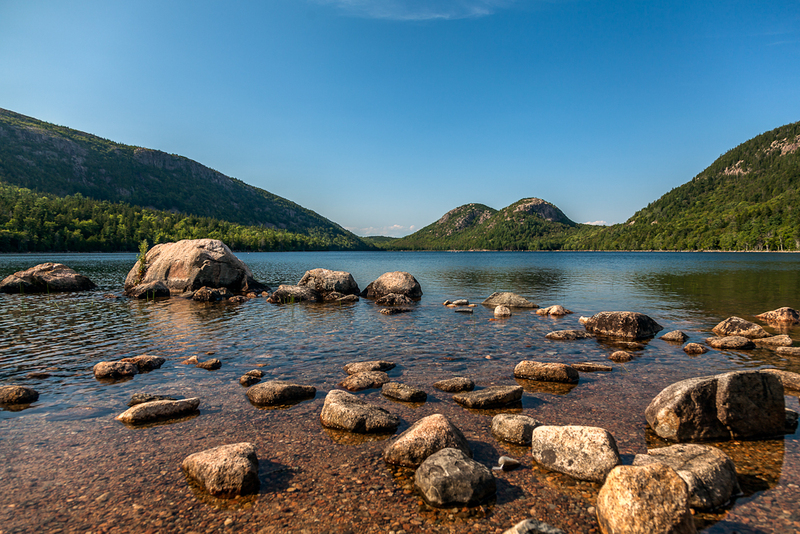 Jordan Pond: Probably one of the most-photographed spots in Acadia. And for good reason. Acadia in the fog: Acadia is notorious for it's foggy summer mornings. It was pretty spectacular how thick the fog was. The coast: It's pretty rocky along the coast in Acadia. A stark difference from the warm, soft, sandy beaches of the southeast. O Canada - East Quoddy Head Lighthouse: Look at that, I'm in Canada. After a decently short drive (1.5 hours) from the Ellsworth/Acadia area, you can drive over a nice bridge into Canada. From the easternmost US city of Lubec, Maine, pop over to Campobello Island, New Brunswick, Canada. 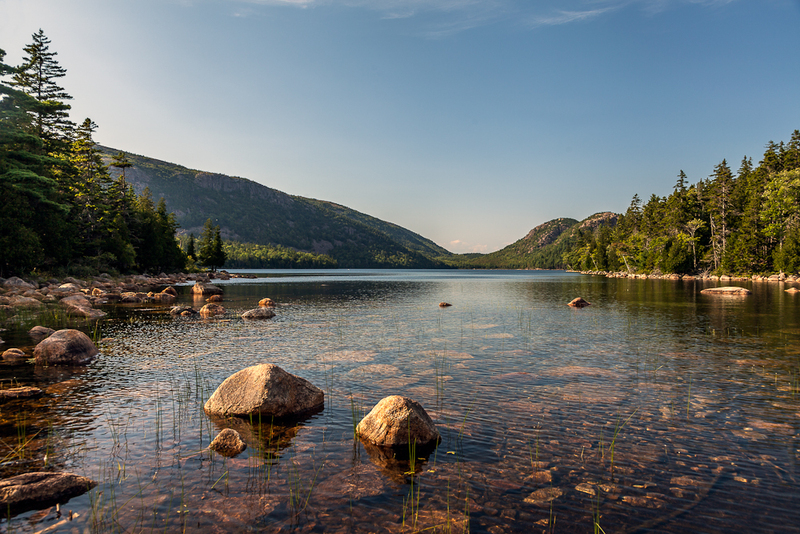 Jordan Pond with Bubbles: The North and South Bubble Mountains in the distance. 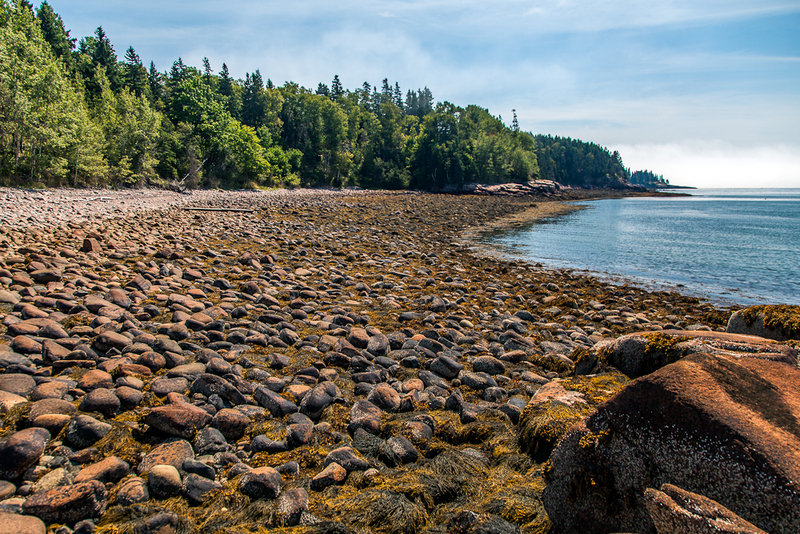 Low tide at Otter Cove: The rocks have a distinct reddish hue. 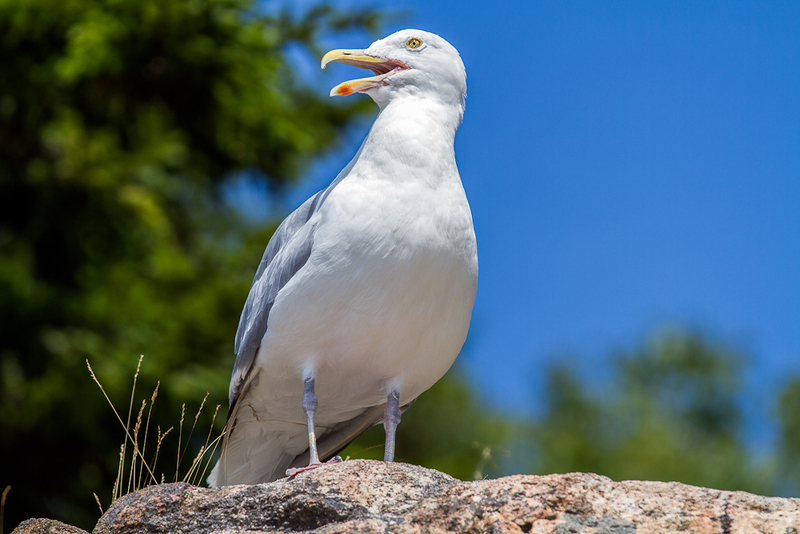 The only bird I was able to photograph: The seagull. Either Acadia is not very good for wildlife (and I've read that it is not), or I simply wasn't having much luck. I don't have a super telephoto lens, so getting a soaring raptor other larger bird was out of the question. This little guy flew over on big rock and was nice enough to sit there happily posing for photos.